The concept of celebrity beauty brands shouldn’t come by surprise to any of us. These people are in the biz of getting all dolled up for years and years, soaking up the scoop on how to get a look worthy of the red carpet, how to wear one that translates well to the hundreds of camera flashes and to the big screen. There’s no doubt that they learn a few things along the way—in fact, they’ve told us they have—so taking their appreciation and knowledge for hair, makeup, and skin care and turning it into a product that can be picked up by the greater population? We get that. There are brands visually backed by celebs’ names out there for years. For example, Cindy Crawford‘s skin care line Meaningful Beauty, or Miranda Kerr‘s KORA Organics may ring a bell. There are plenty others where that came from, but there are a few we want to bring your attention to in case you’re looking to amp up your celebrity trivia. Some are brand new, while others are rapidly growing their collections. Here’s a few to take note of. By now, you might have heard that the gorgeous lady that landed Ryan Gosling took a step into the cosmetics industry with a makeup line that’s available at drugstores, CIRCA Beauty. The line consists of a rather large quantity of products, including basically everything you’d need to get a look, from shadows all the way to foundation and concealer. You won’t hate the black and gold shiny packaging either—it looks pretty darn swanky. The Price? Since it’s a drugstore beauty line, it’s totally affordable. A tube of mascara (the line consists of three different versions of this staple) will cost you about $11, while an eyeshadow palette that is set with three different hues rings up at $12. The most expensive thing in the line is the foundation, which costs $15, followed by the BB cream that sells for $14. 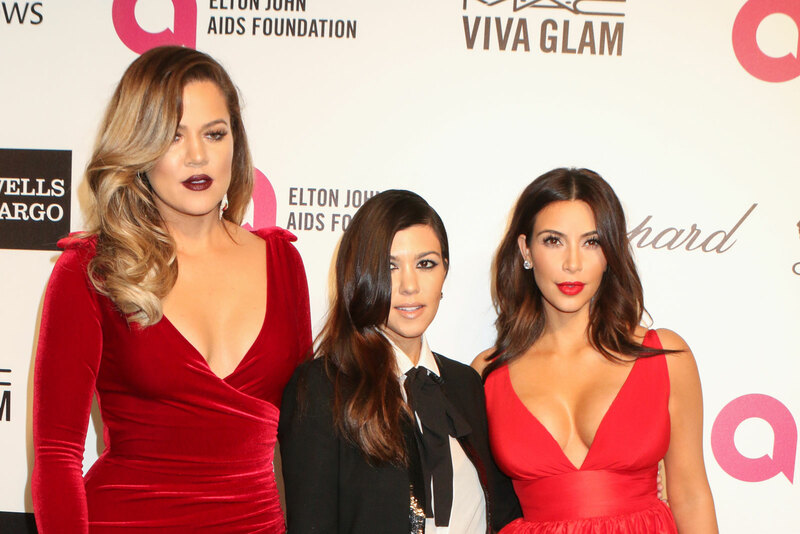 The Celeb(s): The Kardashian sisters, who else? OK, their line is anything but brand new. They’re makeup line has been around for a couple years now (it’s even changed names from Khroma to Kardashian Beauty), but this year, the world’s most talked about family (well, maybe sisters) branched out with a hair care line that includes everything from tools to styling products. Most of their products are touched with a signature ingredient of Black Seed Oil. It wouldn’t be a Kardashian kollection without a little glam–some of these products even hold shimmery properties. The Price? The products range in price from about $13 to $16 and are available at Ulta and Sally Beauty Supply stores. With the straightening iron, curling iron, and blow-dryer all priced at $90, the styling tools will cost you a bit more. After ten years modeling, the former Victoria’s Secret model Lindsay Ellingson decided to take what she learned and launch her own cosmetics company. As of right now, Wander Beauty isn’t the line you’d run to if you need to get the works for your makeup bag in a hurry. They launched early in April with only one product (but don’t worry, it’s a good one), a blush and highlighter combo that can be used on your eyes, cheeks, and lips. Basically, it’s a multiple and perfect for the spring and summer seasons when you really don’t want too much on your face. She plans on expanding the collection come fall. The Price? This may be a little bit of a splurge. The product, which is available in two different blush colors with the same highlighter hue on the other side, will cost you $42 and is only available, as of right now, on the model’s website. Another line that’s been around for a while, Drew Barrymore’s Walmart-exclusive line is only getting bigger. Late in 2014, the actress expanded her color cosmetics line to several fragrances and is continually expanding the versions of products offered. For example, FLOWER holds a powder blush, a cream-based blush, and a powder-to-cream-based blush in the collection. Three different types of mascara are offered, as well as plenty of varying eyeshadow palettes and concealer cases. The Price? Since it’s available at a mass retailer like Walmart, you can take home these products for drugstore prices—around $7 to $10 is a fairly even average. From day creams to cleansers to products made to reduce the dark, puffy circles that so often live under your eyes, this is a line dedicated to skin care health, revitalization, and anti-aging treatments, with more coming soon. It reportedly took four years for Christie to get the line to her liking. The appearance of Christie’s skin is fascinatingly glowy and healthy, so if she uses this stuff, there’s no doubting we’re intrigued. The Price? This will be an investment, so make sure to check out if the products work well with your skin before you hit the checkout line. The cleansers and exfoliators are priced in the low 30s, while the night and day moisturizer treatments (the day includes an SPF of 30) will put you back $80.